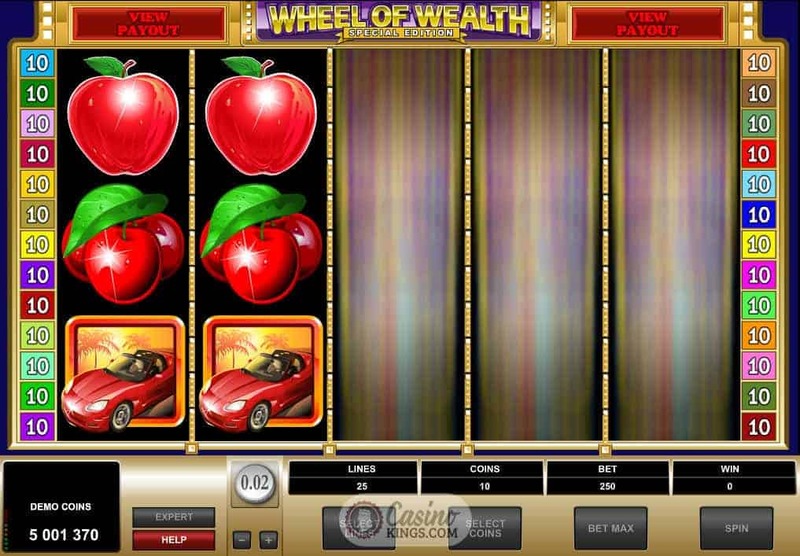 Don’t confuse this Wheel of Wealth Slot with another wheel-based entertainment show/ online slot. 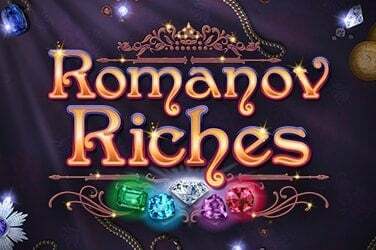 This is an entirely different kettle of fish altogether – a classic slot title that Microgaming transported into the world of online slots with this updated version – the Special Edition that spins the original into the 21st century. 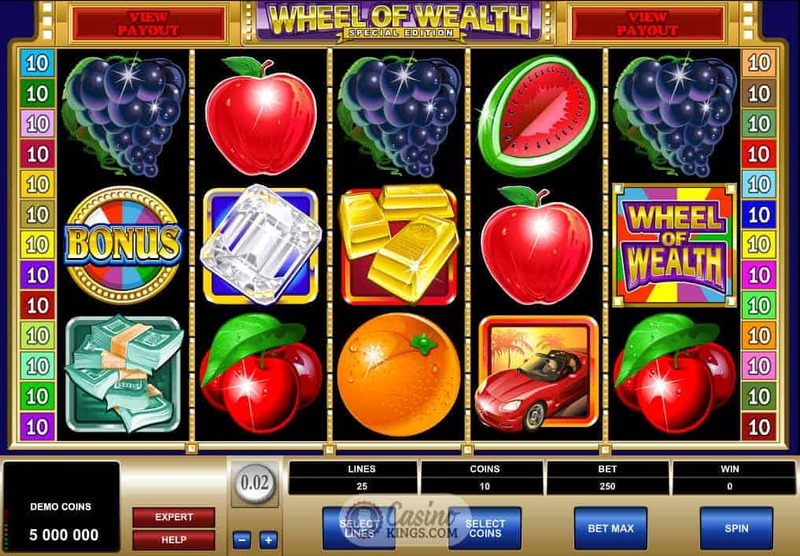 The original Wheel Of Wealth slot was a three reel single payline affair utilising the classic BAR and cherry symbols with the added Wheel Of Wealth ident. This Special Edition brings that version bang up to date with five reels and glossy images of the classic fruit symbols – the BAR makes a subtle appearance as a stack of gold bars, a sentimental nod to the original. 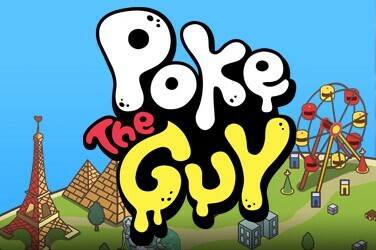 Just like the original the game uses one click operation, so players can spin in expert mode, which allows up to 500 spin Auto Play, as well as customising the numbers of paylines, coins and stakes bet per spin. 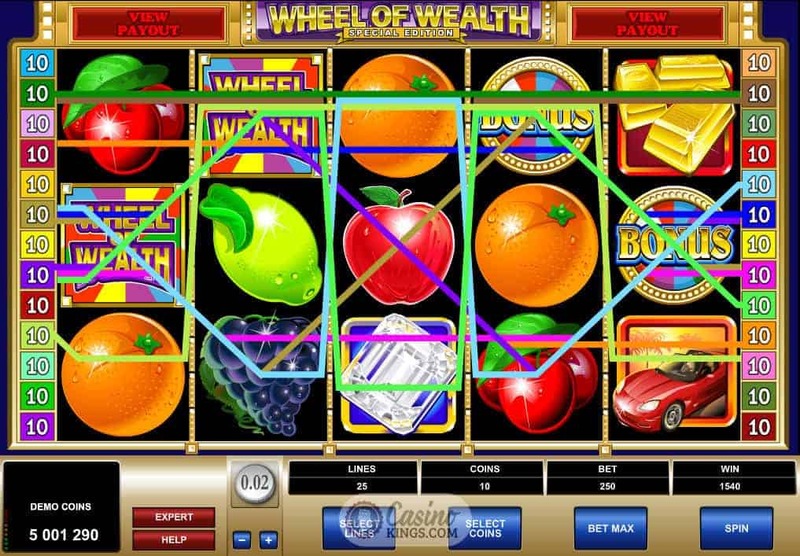 However, unlike the original and in true video slots fashion Wheel of Wealth utilises the Wheel of Wealth symbol as a wild multiplier and a scatter coin as a scatter symbol for extra winning potential. Unlike the original, this Special Edition has plenty of bonus action to keep you on your toes. Three or four Bonus symbols activate the Reel Bonus Game when landing on any given payline. 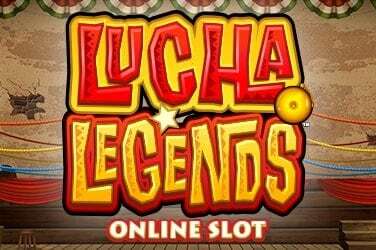 This is a click and reveal bonus which can see you scoop up to 2,000 coins or activate the Wheel of Wealth Bonus Game – WoW for short and a quick glance at it will tell you why. 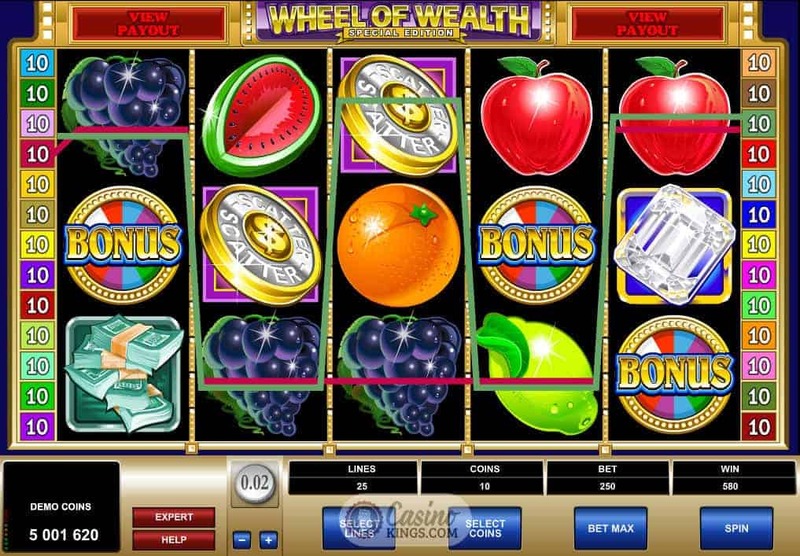 The Wheel of Wealth Bonus Game is a spin-the-wheel bonus that evokes all the excitement of the Wheel of Fortune: grip the arms of your chair as that wheel spins around, ticking past multiplied bonus amounts that could bag you between 20 and 10,000 coins. It’s quite amazing how such a simple format can still ramp up your excited dial, but ramp it up it does, right to 11. Well, to 10,000 actually. Coming straight from the original game to this Special Edition will be like stepping out from a cottage in the Cotswolds to the Vegas Strip, to the point that players of the original game will surely only make that journey once. 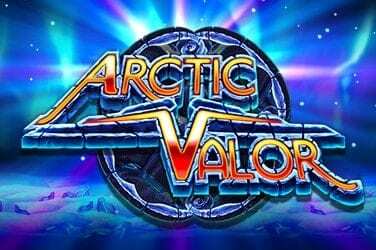 With superb winning potential in the base game and updated bonus features, you can say that Microgaming have Wheelie created a great updated slot title. Sorry, had to get that one in there.